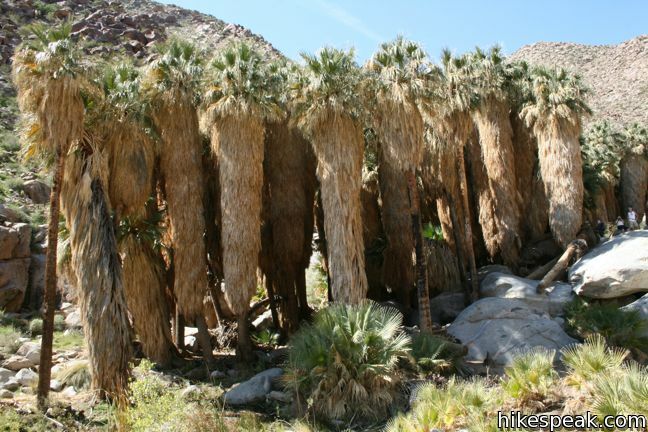 Borrego Palm Canyon is a wide trench descending west to east down the San Ysidro Mountains just west of Borrego Springs. 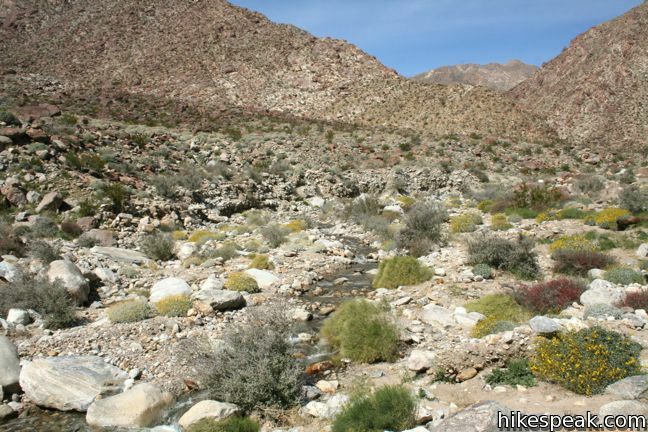 The creation of Anza-Borrego Desert State Park began in the 1930s with the protection of this palm-filled canyon. 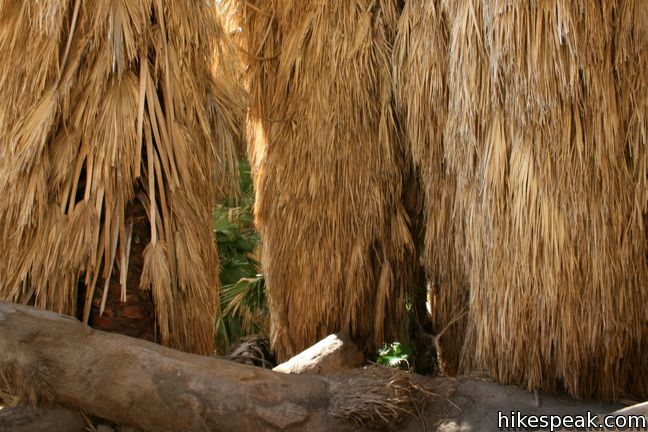 The popularity of the trail exploring Borrego Palm Canyon has endured, even as the park has expanded to protect a thousand square miles of southeastern California. 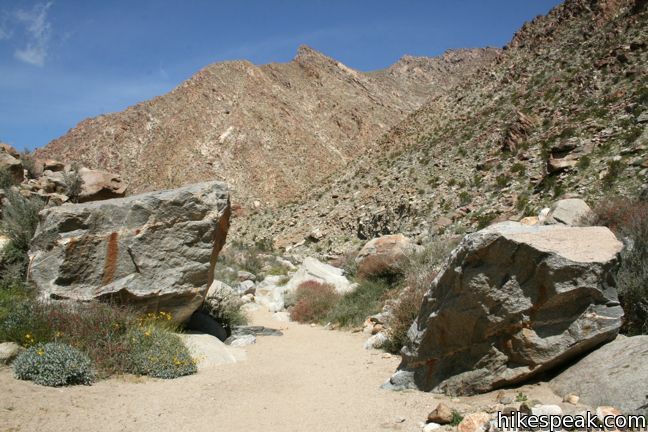 This 3.25-mile loop ascends 450 feet to a shady oasis in an alluring desert canyon. 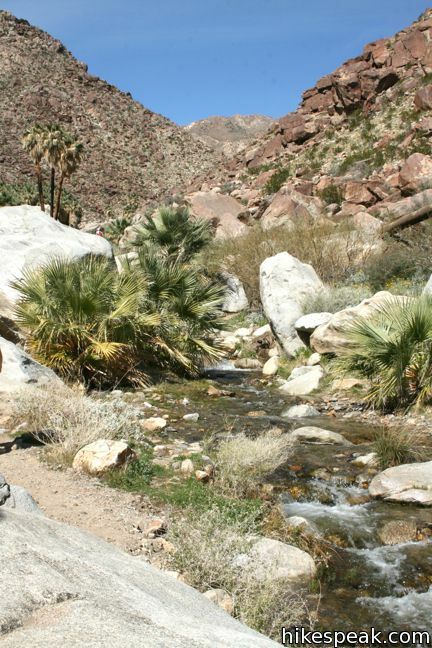 Trail Closure: Because of unsafe trail conditions, Borrego Palm Canyon was closed by a superintendent’s order on February 15, 2019. 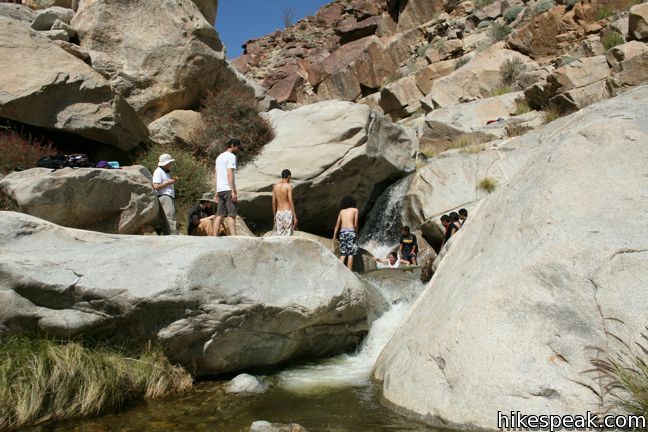 Check with Anza-Borrego Desert State Park for additional information. 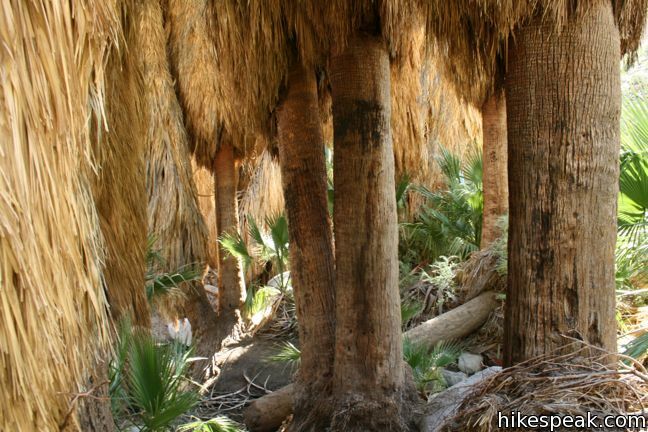 Borrego Palm Canyon Trail is located just north of the park visitor center, making it a convenient place to begin your exploration of the Anza-Borrego Desert. 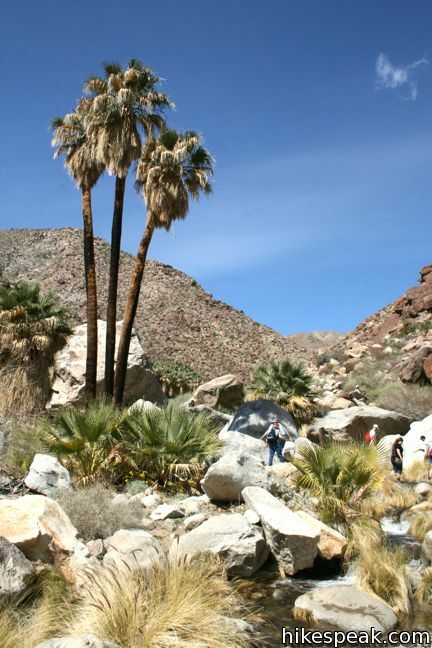 To reach the trailhead, drive through Borrego Palm Canyon Campground, the largest developed campground in the park, where an eight-dollar day use fee is charged. This is the only area in the park that requires such a fee. 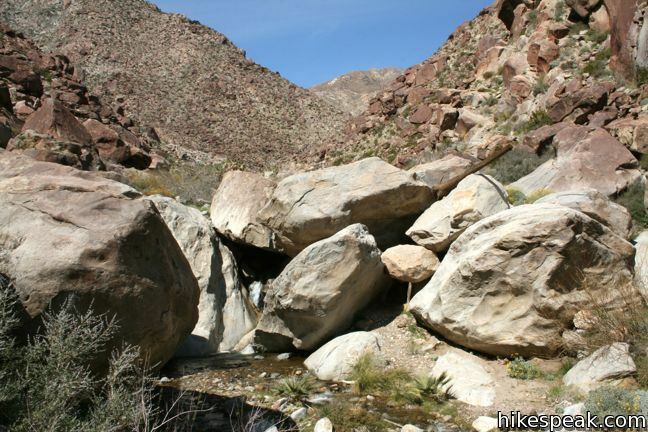 Pick up an informative pamphlet and begin hiking west up the wash outside Borrego Palm Canyon. 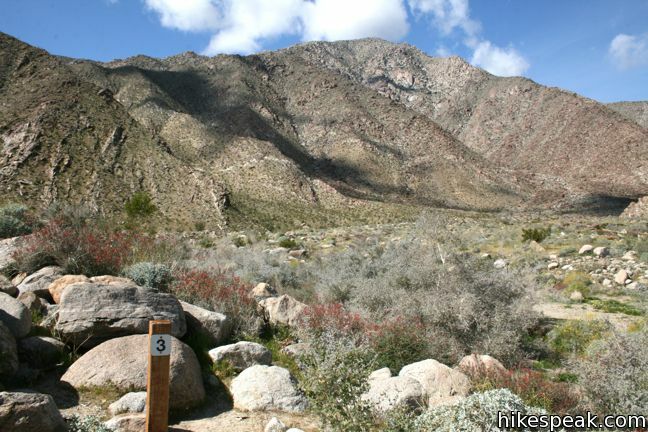 Numbered markers coincide with entries in the trail guide that tell the story of the canyon as you hike. 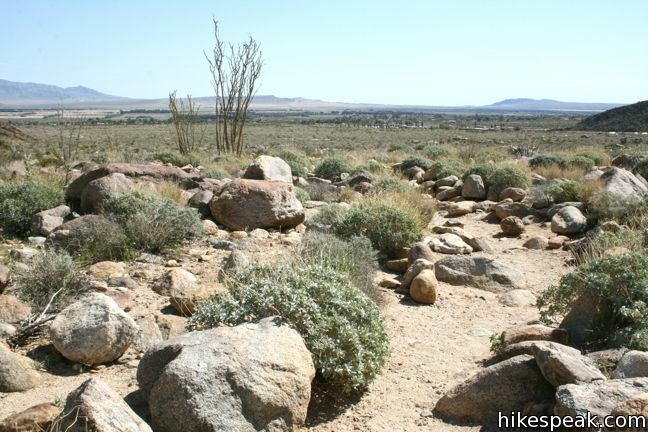 The trail passes through a variety of cacti and other desert vegetation. 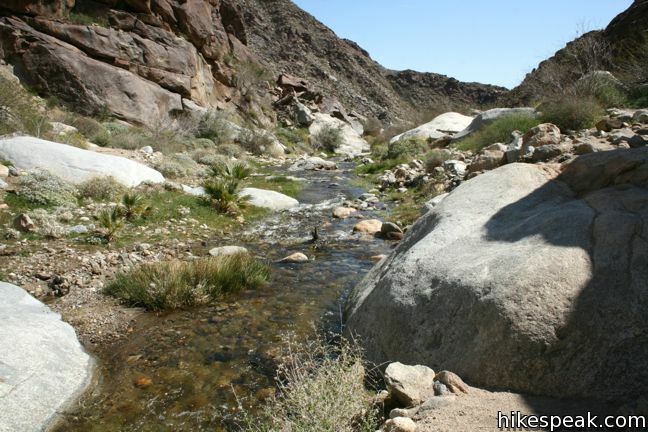 In the early spring, a surprisingly active stream flows out of Borrego Palm Canyon. Follow the trail back and forth over the creek bed a few times to arrive at a marked junction one mile (and 300 vertical feet) from the start. To the left, an alternate trail heads back to the campground. 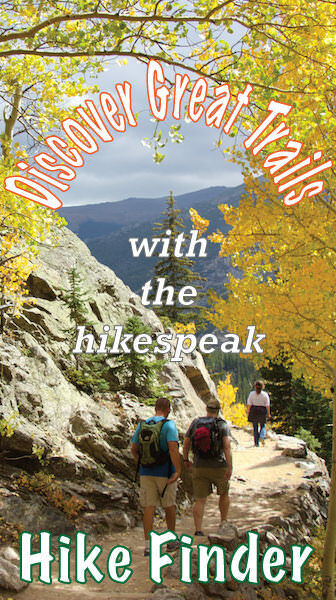 Hike this way on the return to add an extra quarter-mile to the trek, along with wider views and varied scenery. Turn right, continuing up the canyon toward the oasis. 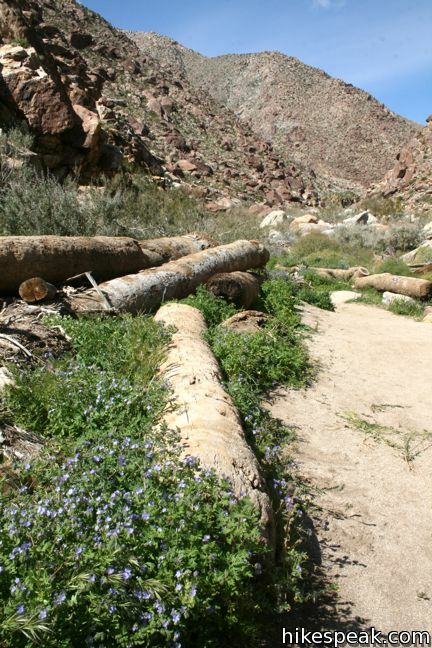 Downed palm trunks scattered around the mouth of the canyon are evidence of damage from a flash flood that tore through Borrego Palm Canyon in 2004. 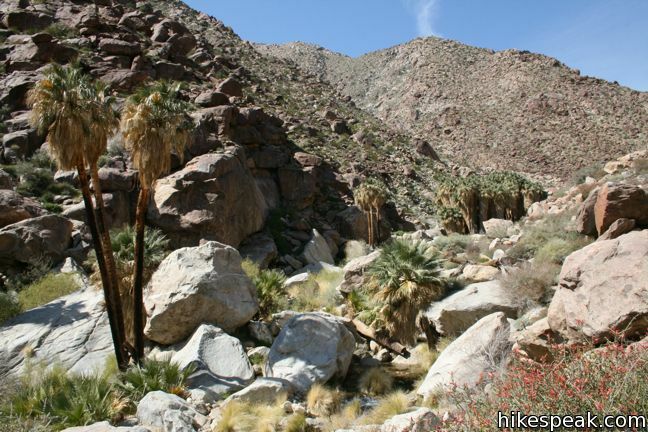 As the trail becomes slightly more rugged, amble over and around rocks to reach a small cluster of palms, 1/3 of a mile from the junction. Press on to the grand oasis of California fan palms just ahead. 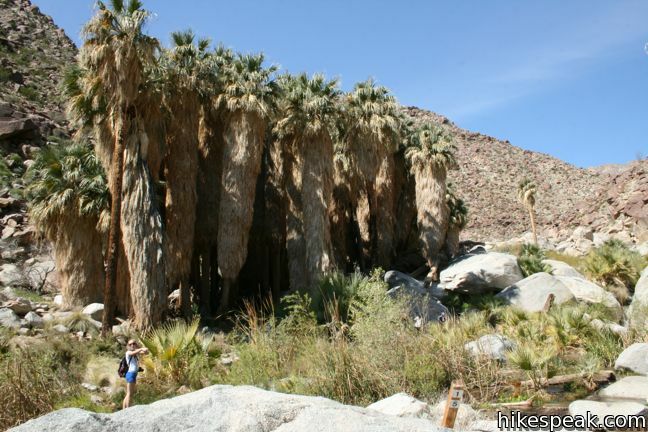 Relax in the shade of one of the largest palm oases in California. 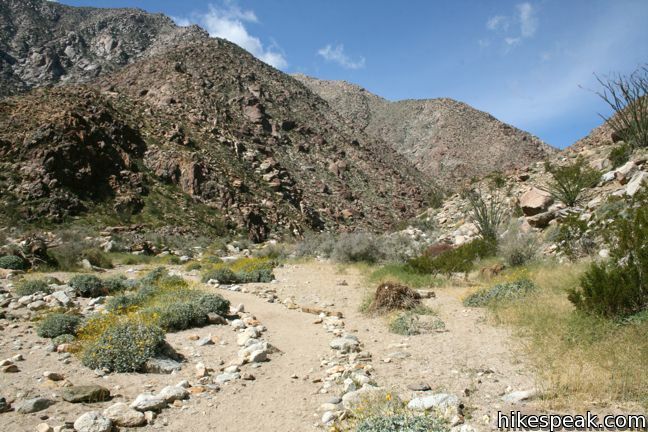 A far less traveled track continues up Borrego Palm Canyon toward seasonal waterfalls and an ascent trail to Indianhead Mountain. On your way back down the canyon, continue straight through the junction to return via the alternate trail. 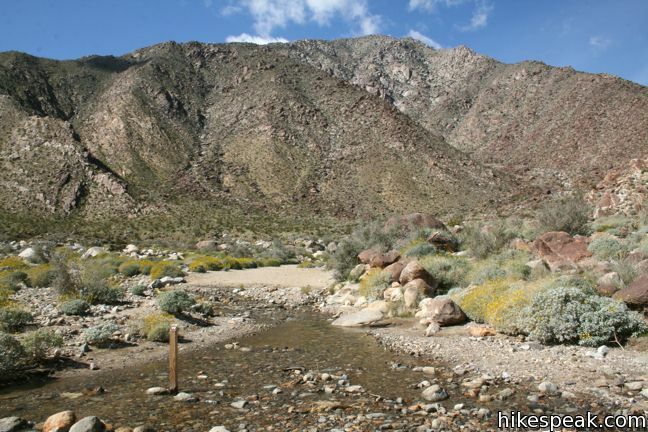 This single track climbs 90 feet up and over an alluvial fan south of the canyon itself, providing new views on the way back to the trailhead. 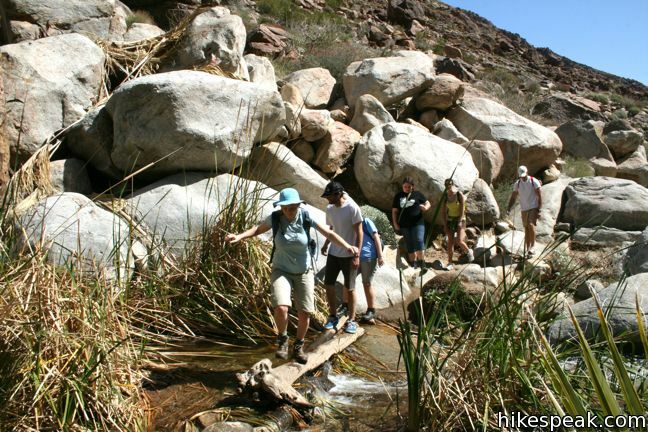 This 1.25-mile track sees less foot traffic than the main trail up the canyon, passing through thriving cacti, ocotillo, and other desert brush. 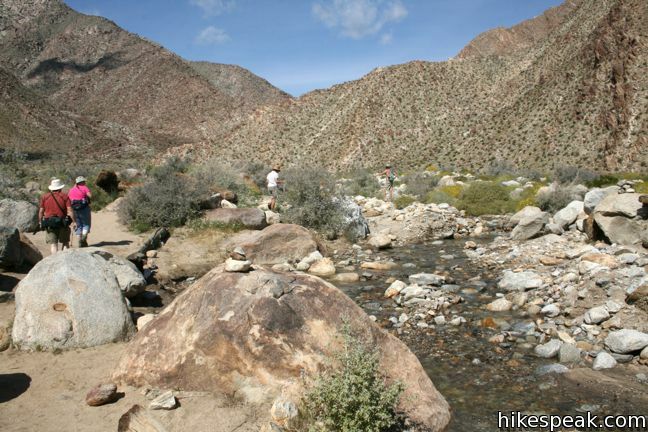 If you finish with this hike and still have energy, another trail departs from Borrego Palm Canyon Campground for you to check out. 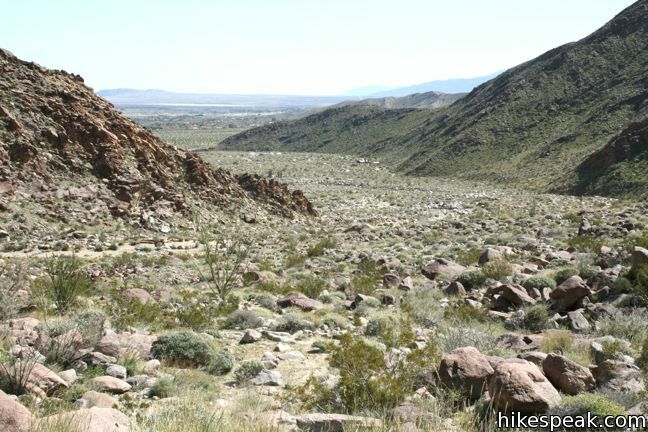 Panoramic Overlook Trail is a 1-mile round trip hike ascending to a scenic spot on the ridge south of Borrego Palm Canyon. Dogs and bikes are allowed in the campground but not on the hiking trails. 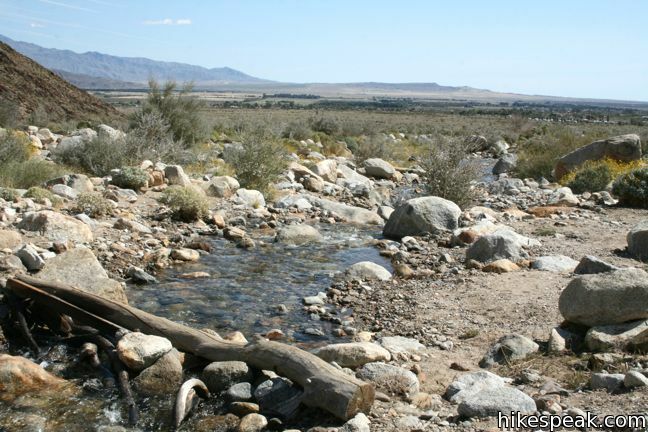 A $10 day use fee is charged to enter Borrego Palm Canyon Campground (price as of 2017), but no permit is required for either hike, so get out and enjoy! 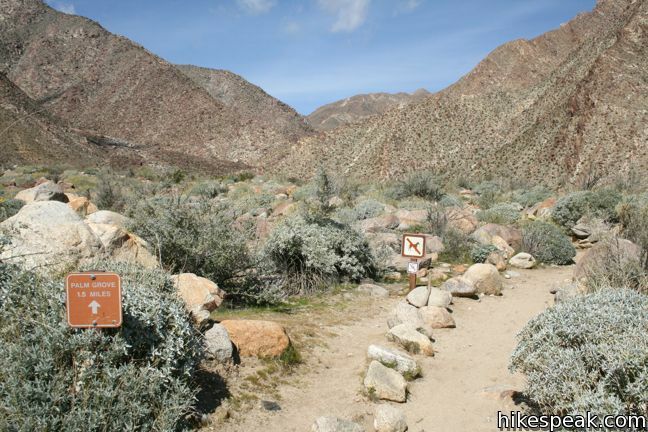 To get to the trailhead: From Christmas Circle in Borrego Springs, drive 1.5 miles west on Palm Canyon Drive to an unmarked service road just past Route S22, and 0.2 miles before the park visitor center. 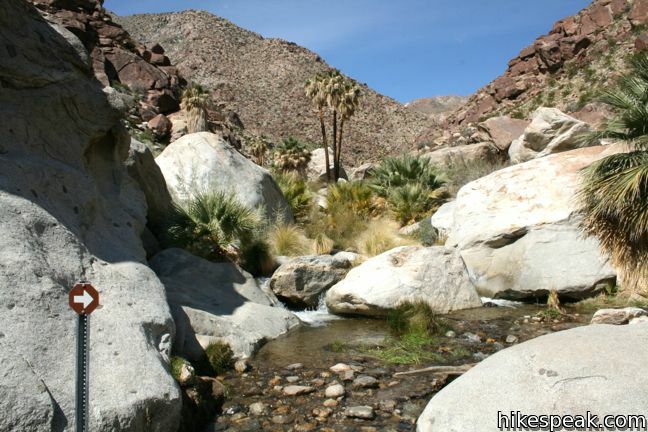 Turn north and drive one mile to the entrance of Borrego Palm Canyon Campground. Pass through the entrance station and drive to the trailhead at the west end of the campground. 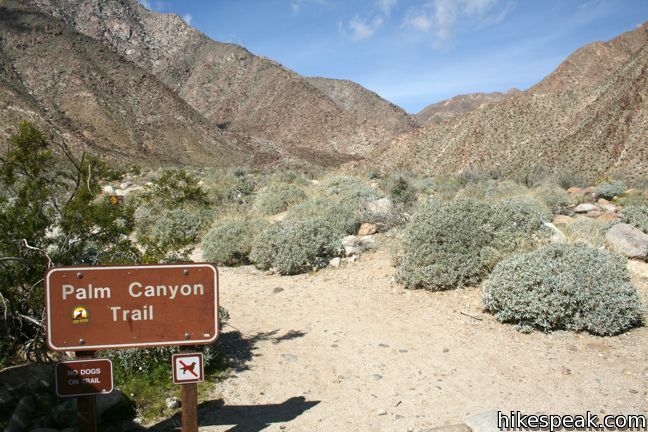 My 4.5 star rating is based on hiking past the marked official trail, going about 2 miles farther up the canyon. This was a fantastic, adventurous hike with stunning rocky scenery. There was lots of boulder scrambling and stream-crossings. Not a particularly easy trail, definitely good to go with strong knees, shoes with good tread that you don’t mind getting wet, pants you don’t mind snagging/ripping, and long-sleeve shirt. I left early in the AM and returned in the afternoon, only saw 3 other groups of hikers. 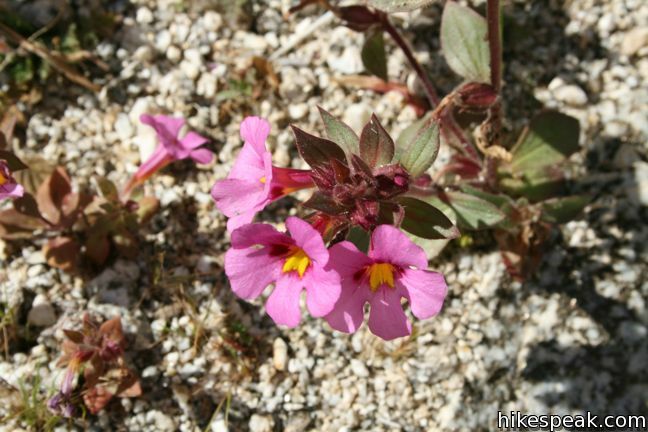 If you do go past the trail’s end, remember to tread lightly, avoiding the delicate plants as much as possible in this delicate environment. Water enough to wade in? 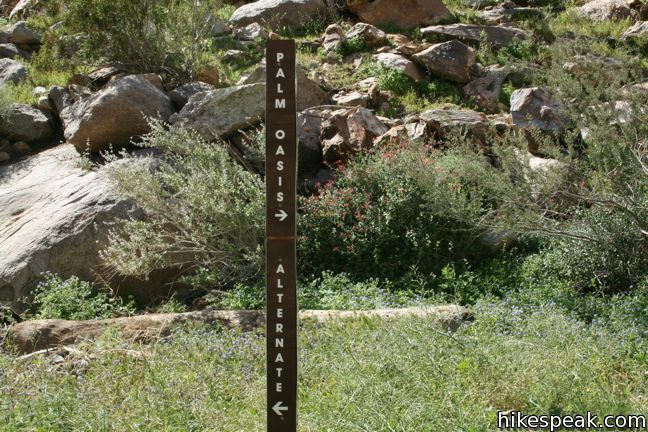 I went to hike Palm Canyon today and found out it is closed. I wish the website would have mentioned that before the 2 hour drive to get there. It may be closed for awhile and wish there’s a way to let hikers know. Does anyone know if this trail is open now? 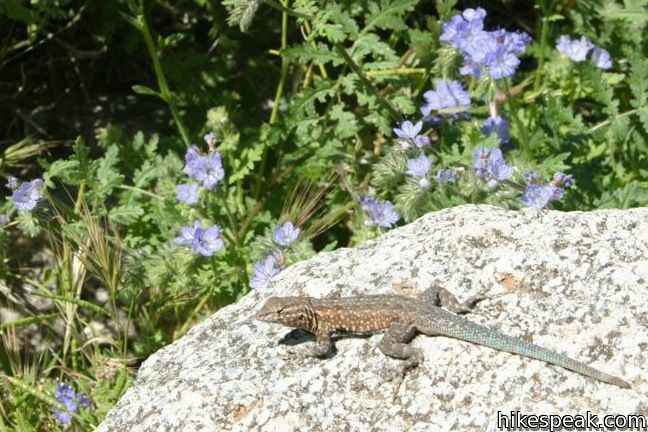 My wife and I hiked this trail on March 12, 2019 to see the super bloom. Parts of the trail criss-crossed the stream, which made it dicey a couple of times. It was probably ankle deep. We did not make it to the top, though. Do not park at the Visitor Center, it is probably 1 1/2 miles from the Visitor Center to the trail head. 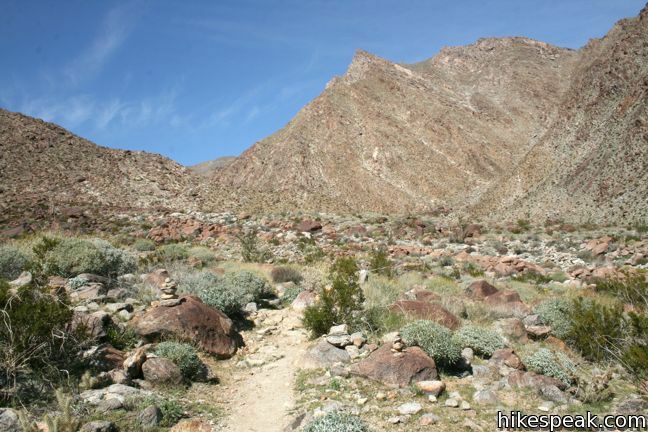 Go to the camp ground, if you can and start your hike from there.